Melnyk, Andrii [Мельник, Андрій; Mel’nyk, Andrij], b 12 December 1890 in Volia Yakubova, Drohobych county, Galicia, d 1 November 1964 in Köln, Germany. Military figure and political activist. His studies at the Higher School of Agriculture in Vienna (1912–14) were interrupted by the outbreak of the First World War, when he volunteered for the Legion of the Ukrainian Sich Riflemen. A company commander, he fought in the battles of Makivka and Lysonia before being taken prisoner in September 1916 by Russian forces and interned in Tsaritsyn and other locations. In captivity Melnyk became a close confidant of Yevhen Konovalets. After escaping imprisonment toward the end of 1917, he was one of the organizers of the Galician-Bukovynian Battalion of Sich Riflemen (the original formation of the Sich Riflemen) in Kyiv and held senior positions in it (from battalion commander to second-in-command). From January 1919 he was chief of staff of the Army of the Ukrainian National Republic. After a short period as a Polish prisoner of war, he became a military attaché for the Ukrainian National Republic and lived in Prague and Vienna (1920–1), where he finished his forestry studies. From 1922 he lived in Galicia. 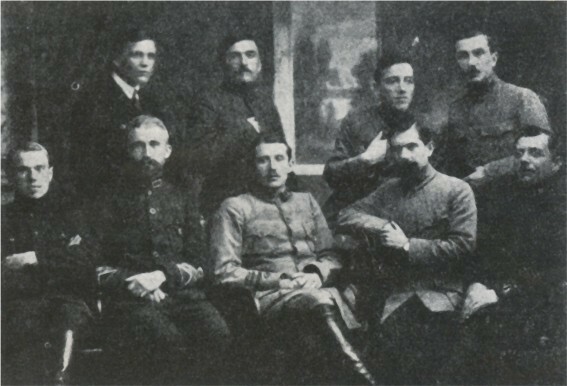 Melnyk assumed the home command of the Ukrainian Military Organization (UVO) in Galicia in 1922, after Yevhen Konovalets had left the country and set up its command center abroad. In the spring of 1924 Melnyk was arrested and sentenced to five years' imprisonment for his UVO activities. He was freed toward the end of 1928, partly as a result of the efforts of the president of the Directory of the Ukrainian National Republic, Andrii Livytsky. 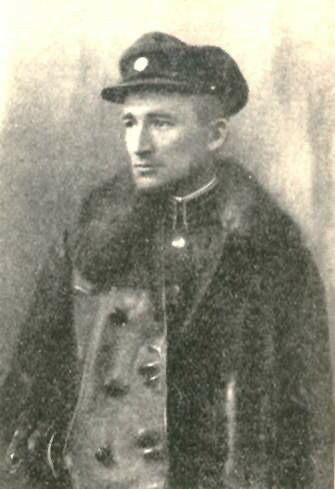 He served as head of the Orly Catholic Association of Ukrainian Youth in 1933–8, was involved with the Moloda Hromada society, and maintained his underground nationalist connections and activity. After the assassination of Konovalets in 1938, Melnyk went abroad to head the Organization of Ukrainian Nationalists (OUN). 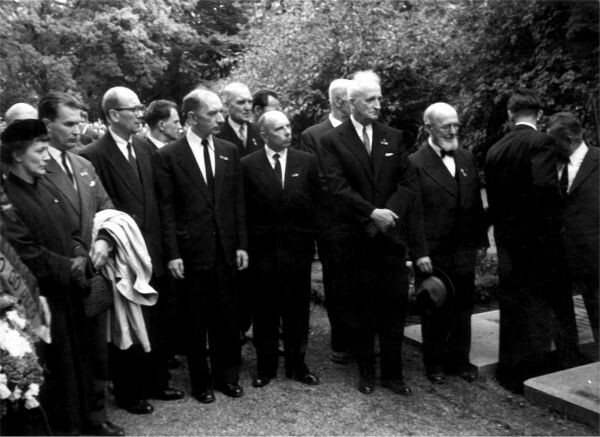 His position was formally ratified in August 1939 at the OUN's Second Grand Assembly in Rome, but he could not retain the allegiance of the entire OUN membership. In 1940 a faction led by Stepan Bandera broke from the OUN to pursue a more radical course of action. The respective groups became known as Melnykites and Banderites. From 1941 Melnyk was kept under house arrest by the Germans until he was finally imprisoned in the Sachsenhausen concentration camp, in 1944. During this period Melnyk assigned the co-ordination of OUN activities on Ukrainian soil to his deputy, Oleh Olzhych. Together with other leading Ukrainian activists (Mykola Velychkivsky, Metropolitan Andrei Sheptytsky, Andrii Livytsky, Gen Mykhailo Omelianovych-Pavlenko), Melnyk submitted a memorandum to Adolf Hitler in January 1942 demanding an end to German destructiveness in Ukraine. After the war he worked toward a consolidation of Ukrainian political and community life in the West. He was instrumental in the founding of the Ukrainian Co-ordinating Committee in 1946 and the Ukrainian National Council in 1947. 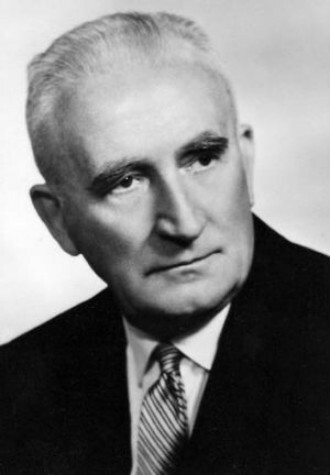 He proposed the idea of a world congress of Ukrainians in 1957; it was realized in 1967 with the founding of the World Congress of Free Ukrainians. Melnyk was also the author of historical articles on the Ukrainian independence struggle. From 1945 he lived in Luxembourg, where he is buried. A memorial book in his honor, edited by Marko Antonovych, was published in 1966. A monograph on his life, edited by Zynovii Knysh, appeared in 1974, and a collection of memoirs about him appeared in 1991 in Lviv. Referrals to this page are found in 13 entries.